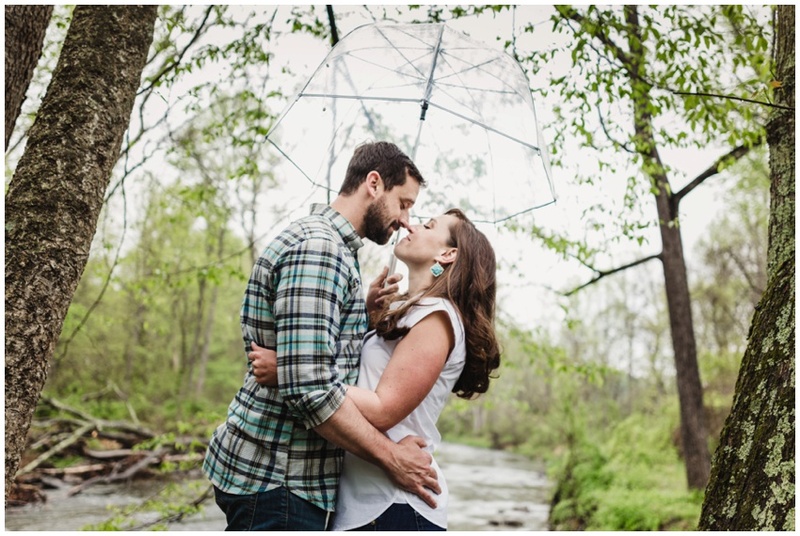 If rain on your wedding day is supposed to mean good luck for your marriage... What does it mean when it rains on your engagement session? Double the good luck AND that you have the best clients ever when they meet up with you and just say "let's do this"! 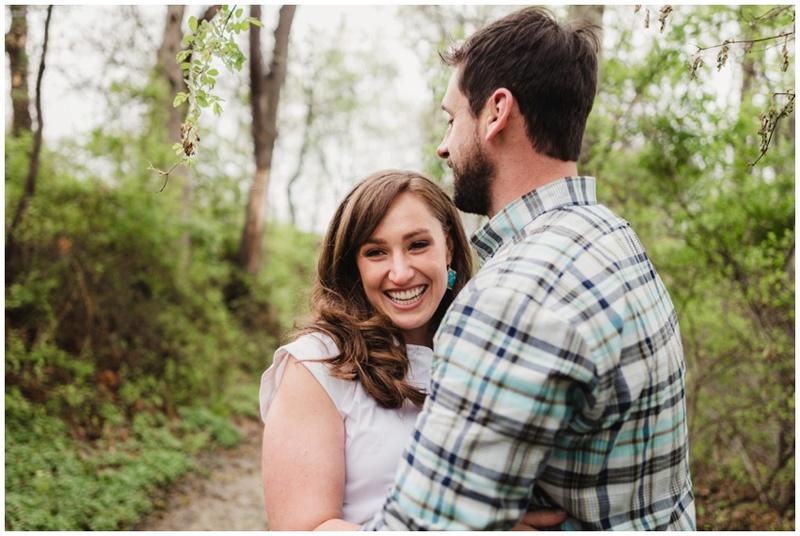 :) I kept checking the forecast and crossing my fingers, but since these sweethearts came all the way from Richmond for the weekend, we didn't have that many options for rescheduling our time together... and I'm so glad they were willing to stick with it! Just look at how rich and lush the trees were!! Oh and if you're as adorable as Devan, it means you still get your hair blown dry as if it wasn't 98% humidity outside and you roll with it as if your sandaled feet weren't getting full of wet grass. Bryce met Devan while she was in between semesters of grad school; their relationship persevered through working 70+ hours per week while dating long distance... their connection and passion for each other is so evident, I'm pretty sure I had a smile plastered to my face the whole time we were together! Devan even brought their own clear bubble umbrella to use... #rockstarclients. We ended at the covered bridge at the perfect moment! A pastel sunset sky revealed itself and showed all of us how lucky rainy days truly are. Cheers to dancing in the rain and making the most of it! 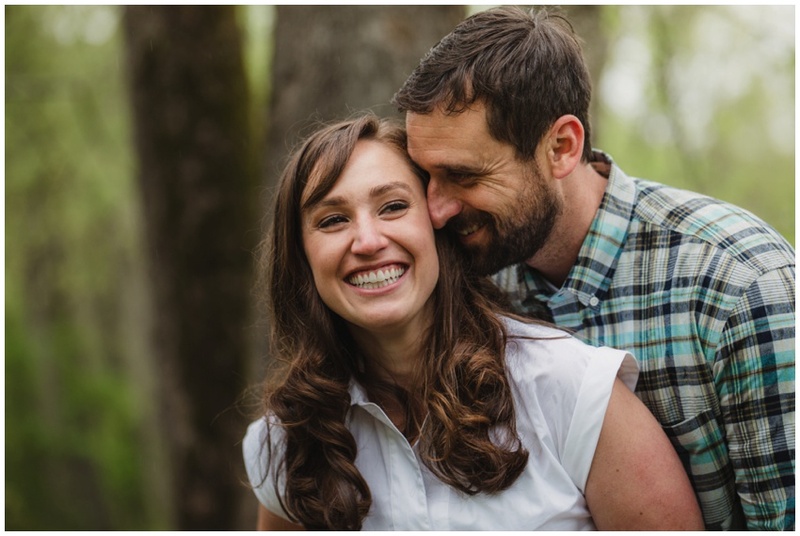 We're so excited for you both and can't wait for your Richmond wedding this fall!